This study was conducted to evaluate the phytochemical analysis, and in vitro anticancer screening of four wild plants grown in the northern region of the Kingdom of Saudi Arabia (KSA), namely: Convolvulus oxyphyllus, Rhazya stricta, Astragalus kahircus and Teucrium polium. Total phenolics content, flavonoids, anthocyanins, saponins, total antioxidant capacity (TAC) and 2,2-diphenyl-1picrylhydrazyl (DPPH) scavenging activity were assessed in their extracts. In vitro anticancer screening of the hydro-alcohol extracts was also assessed using human hepatocellular carcinoma (HepG-2) and breast adenocarcinoma (MCF-7) cell lines. The plant species revealed different metabolomic profiling. C. oxyphyllus showed the highest phenolic and flavonoids contents compared to other plant extracts. While, among these plant extracts, T. polium showed the highest level of TAC, saponins and anthocyanins contents. C. oxyphyllus showed the highest inhibition concentration 50% (IC50) against HepG-2 (18.8 Î¼g/ml) and MCF-7 (4.1 Î¼g/ml). The high-performance liquid chromatography âanalysis of C. oxyphyllus extract revealed the presence of high content of benzoic acid and vanillic acid (phenolics) along with hesperidin (flavonoids). In conclusion, among the screened plants, C. oxyphyllus has the most potent anticancer activity against HepG-2 and MCF-7 cell lines in vitro. El-nagger SA, . Phytochemical analysis and anticancer screening of some endogenous plants wildly grown in Saudi Arabia. JCBR. 2018; 1(1): 19-27. El-nagger SA, . Phytochemical analysis and anticancer screening of some endogenous plants wildly grown in Saudi Arabia. http://www.jcbreg.com/?mno=1361 [Access: April 25, 2019]. El-nagger SA, . Phytochemical analysis and anticancer screening of some endogenous plants wildly grown in Saudi Arabia. JCBR. (2018), [cited April 25, 2019]; 1(1): 19-27. El-nagger, S. A. & (2018) Phytochemical analysis and anticancer screening of some endogenous plants wildly grown in Saudi Arabia. JCBR, 1 (1), 19-27. El-nagger, Sabry Ali, and . 2018. Phytochemical analysis and anticancer screening of some endogenous plants wildly grown in Saudi Arabia. Journal of Cancer and Biomedical Research, 1 (1), 19-27. El-nagger, Sabry Ali, and . "Phytochemical analysis and anticancer screening of some endogenous plants wildly grown in Saudi Arabia." 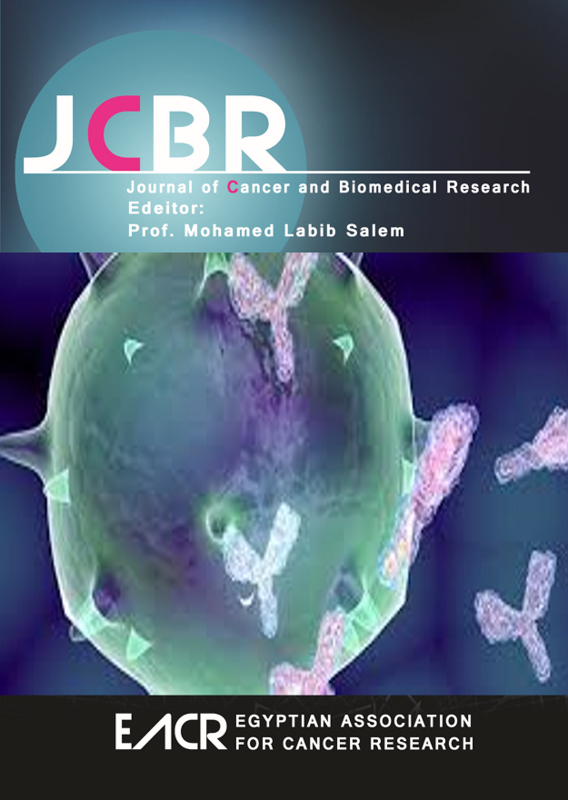 Journal of Cancer and Biomedical Research 1 (2018), 19-27. El-nagger, Sabry Ali, and . "Phytochemical analysis and anticancer screening of some endogenous plants wildly grown in Saudi Arabia." Journal of Cancer and Biomedical Research 1.1 (2018), 19-27. Print. El-nagger, S. A. & (2018) Phytochemical analysis and anticancer screening of some endogenous plants wildly grown in Saudi Arabia. Journal of Cancer and Biomedical Research, 1 (1), 19-27. JCBR. Year: 2018, Volume: 1, Issue: 1: 19-27.